This week’s silence was not because I had nothing to say—that would be an anomaly! As part of starting my new business and becoming more organized, I realized how far behind I am in my reading. Over the course of time, I kept buying books I want to read and let them pile up as other things got in the way including the feeling of obligation to read periodicals because of their timeliness. The online periodicals are easier to deal with. Right now, I only subscribe to one magazine and The Numismatist for electronic reading. Both seem to get priority over printed items. I decided that I will set aside one hour each evening before bedtime to catch up on my reading. I started with a non-numismatic book because it has been sitting here the longest and the topic is intriguing. For those interested, I am reading Tesla vs. Edison: The Life-Long Feud that Electrified the World by Nigel Cawthorne (ISBN: 9780785833789). Tesla was a better scientist but Edison was a better businessman. Next, I will delve into a numismatic book. One that has been sitting on my desk that is really calling my name is Counterfeiting and Technology by Bob McCabe (ISBN: 9780794843953). Not only have I written a lot about the problems with counterfeiting coins and currency, but I also wrote a six-part series about how to detect counterfeits (start with the first post here). Ironically, the most read blog post is “How easy is it to pass counterfeit currency,” a post that I wrote after an experience with an iodine pen. On first glance, the 480 book looks well researched with a list of a lot of supporting materials. Like most of Whitman’s books, the layout includes a lot of illustrations. What piques my interest is that it does start with colonial currency, the area where my interest in the top began. After I read about the technology that Tesla pioneered that is still the basis of a lot of what we use today, like the induction engine (used to drive the automobile that bears his name) and the concept of transmitting electricity without wires (see modern-day wireless chargers), then I will dive into the world of counterfeiting. This post about reading was inspired by the passing of former First Lady Barbara Bush. Mrs. Bush was passionate about literacy and would encourage everyone to read, regardless of age and ability. Without fanfare, Mrs. Bush and the foundation she started made sure literacy was a priority in the lives of everyone she touched. 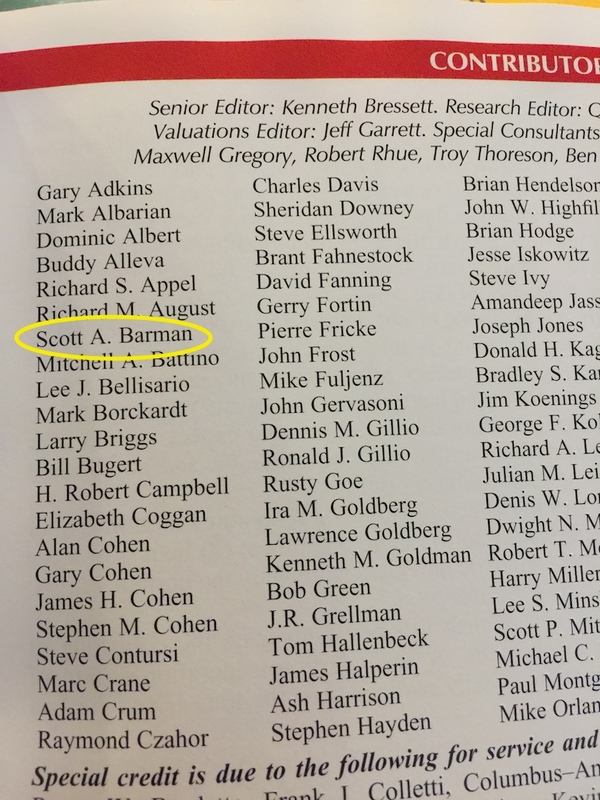 In 1966, Aaron Feldman placed an advertisement in The Numismatist that read, “Buy the book before the coin.” Although Feldman was trying to entice readers to buy books, it is a sentiment that has survived the test of time and continues to thrive. Later, Feldman was quoted as saying. “I’ve always thought that if a man doesn’t own one coin, but has the knowledge that is in the books, then he’s a real numismatist.” I am sure this is something that the late First Lady would endorse. The shameless promotion of the coin business and extraordinary search for special rare coins did not begin with the explosion of the Internet. It can be traced to legendary coin dealer B. Max Mehl. From the empire he built in Austin, Texas, Mehl was probably the first coin dealer to market coins to the general public. Mehl started advertising in The Numismatist in 1903 and in the following year issued his first catalog. In 1906, Mehl paid $12.50 to advertise in Collier’s magazine offering his Star Coin Book for 10-cents. Later, Mehl would expand the book and sell it for $1. Benjamin Maximillian Mehl was born in &Lstrok;ód&zacute;, Russia (now Poland) in 1884. His family immigrated to the United States in 1895 and worked as a shoe salesman before he became a coin dealer. Stories about his relentless promotion report that he was shipping coins to more than 30,000 times a year. Mehl is famous for his advertising that he “Will pay $50 for a nickel of 1913 with Liberty Head, not Buffalo.” Although he never found one, that did not stop him from advertising and trying. Then there is the catalog, Star Coin Book. Before the Red Book, Blue Book, and Standard Catalog, there were few books that provided this amount of information and was affordable to the general public. The Star Coin Book was his marketing tool to make and keep people interested and to keep the orders coming in. Mehl sold so many catalogs that one can be purchased for as little as $5.00 or as high as $50.00 depending on the year and condition. Many are in poor condition since they were not meant to be saved. Mehl wanted people to buy a new catalog every year. Imagine my surprise when I was going through a box of odd books that I purchased from an estate and found a 1925 edition of The Star Rare Coin Encyclopedia and Premium Catalog. I picked up the book, paused as I tried to focus on the well-worn cover, and smiled as I realized what I had found. The book is not in good condition but it is part of numismatic lore. It is Mehl’s work as a cataloger and seller of coins and some currency. It is page after page of coins and the values that he would pay if you wanted to sell your coins. These values are a range of what he would pay and he notes that is based on the condition of the coin. He does include a description of the differences in condition and most coin types include some type of picture, whether it is a photographic plate or a line drawing. After the lists there are a few pages of history of coins, “Coins Past and Present” that is followed by coins he has for sale. All sales were done by phone or by postal mail. Remember, this was long before fax machines and the Internet! There are both contemporary and modern writings about Mehl that describe him as a huckster and mendacious. Others describe him as a genius of marketing that helped grow the hobby. Regardless, Mehl has a place is numismatic history that has to be respected for being able to use the tools he had to build a successful business. Mehl built his company’s offices at 1204 Magnolia Ave. in Fort Worth. The building was rescued long after Mehl had died but his name still appears over the main entrance. 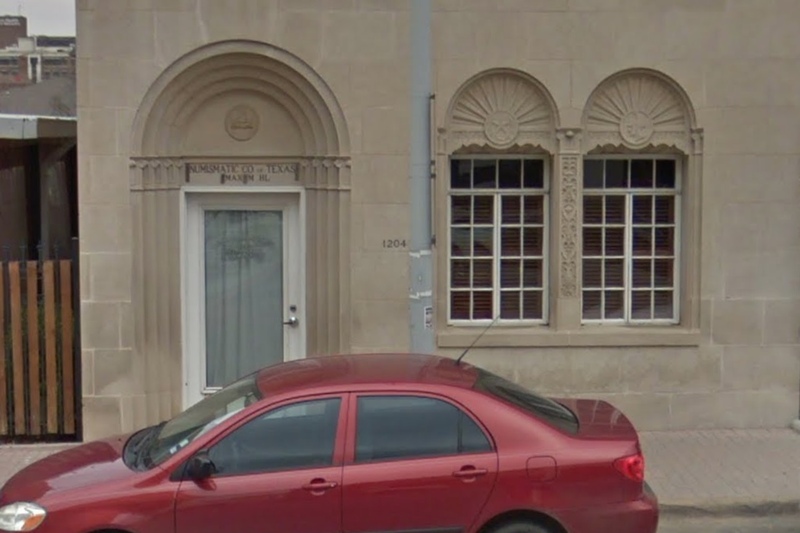 Image of 1204 Magnolia Avenue take from Google Maps. POLL: Will you buy the 2018 Red Book? 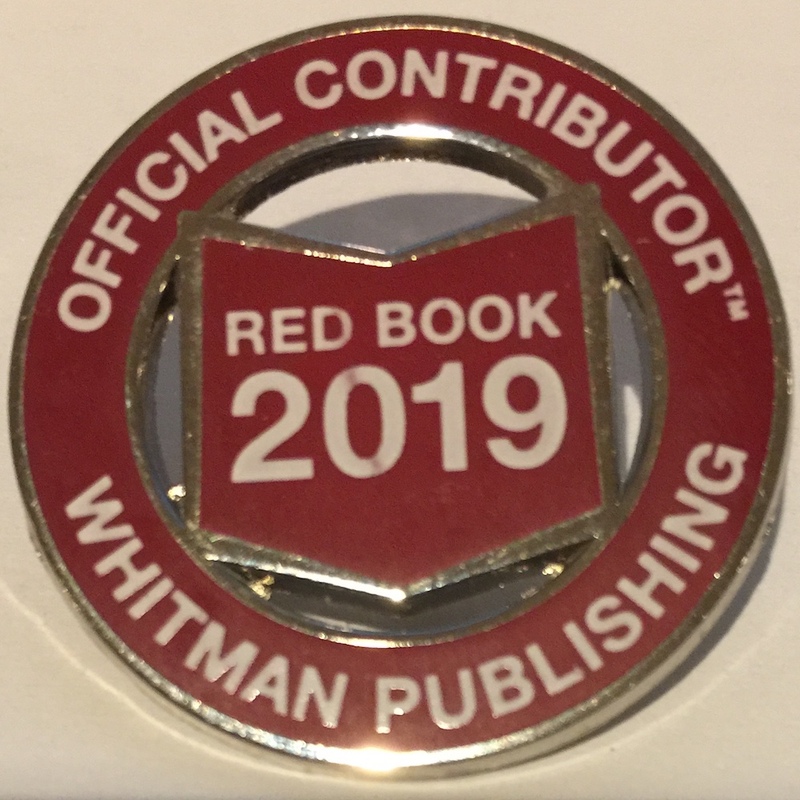 Whitman Publishing just announced that the Red Book and MEGA RED Book will be available at the Whitman Baltimore Expo the weekend of March 30-April 2. Over the last few years, Whitman has been adding more information to the Red Book to entice people to buy a new edition each year. This year, they are adding new information to the MEGA RED Book to the book whose page count continues at 1,504 pages. It is physically a large book with a lot of information. The key feature of the Red Books are the prices. Prices are set by industry insiders who report what they have seen as prices for coins. 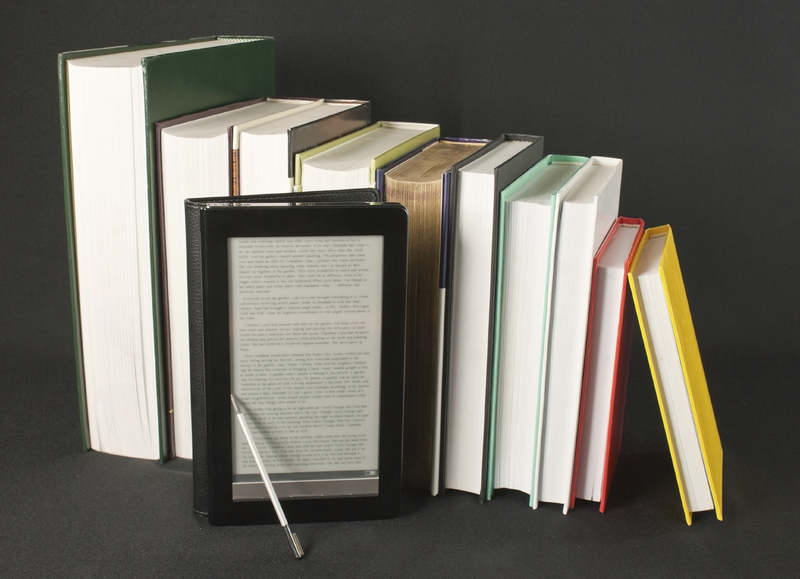 Because of the publishing lead times, the prices may not be accurate to market conditions. Some say that the prices are not in line with current prices because the market moves quickly. In fact, a comparison with online resources like the Numismedia Fair Market Value prices and PCGS Price Guide shows that the Red Book may need updating for the most common coins. The disparity is that great. 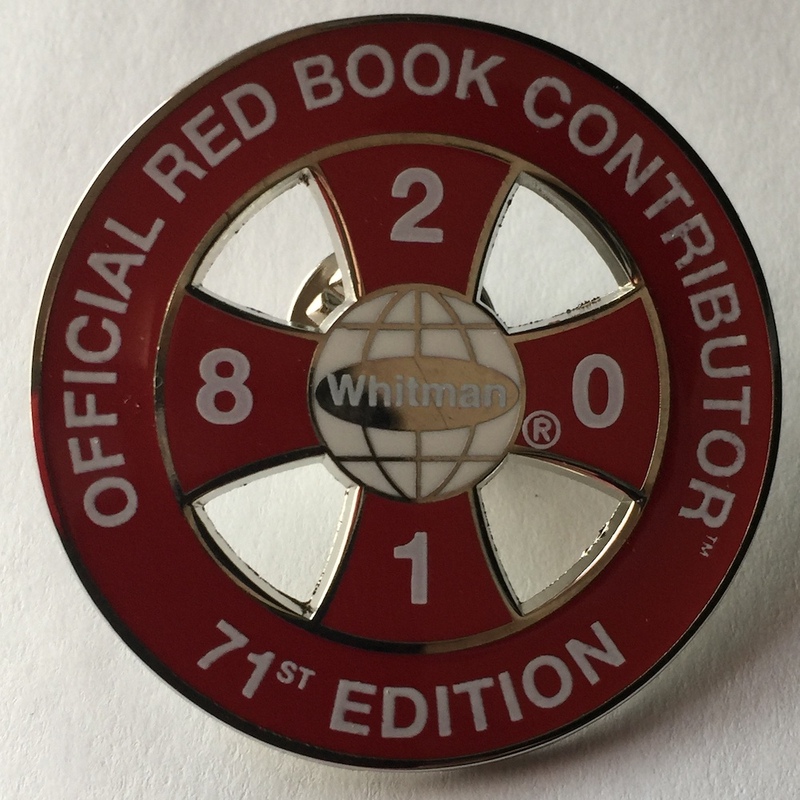 Even so, the Red Book in all its forms probably is the bestselling book on U.S. coins of all time. 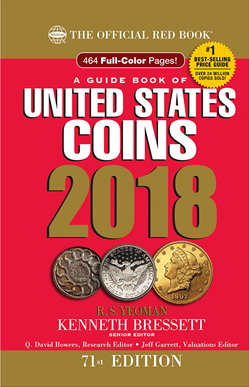 Whenever someone wants to know more about U.S. coins and what they are worth, the persistent recommendation is to tell them to buy a copy of the Red Book. Will you buy a 2018 Red Book? Select as many as you want. If you have another opinion, add your comments to this post. Image courtesy of Whitman Publishing. 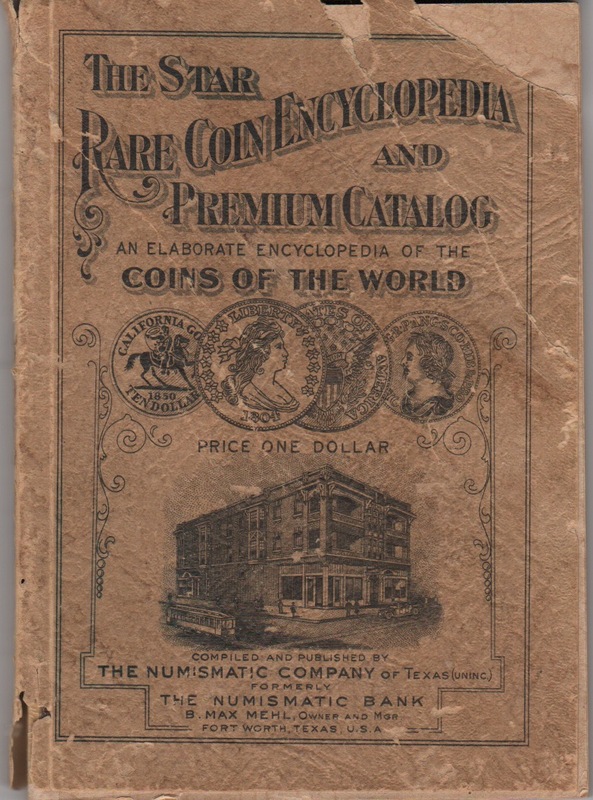 An adage of numismatics is “Buy the book before the coin.” It was first used by numismatist and dealer Aaron Feldman in an advertisement that appeared in the March 1966 issue of The Numismatist. Aside from being used to sell books, this sound advice tells collectors to enhance their knowledge of the hobby. Education is important because helps build the skills and tools they need to navigate the world. Education helps us read, write, calculate and communicate. Without education, we would not be able to perform our jobs competently, accurately and safely. Education also gives us a view of the world which we live and provides a context to how we arrived at society today. Numismatic education is important because it teaches us how to understand the and navigate the world of money and the economics that made it necessary. Without numismatic education coins, currency, bonds, tokens, and medals are just objects to be ogled without context. We would not know why these items are important or how to collect them. Numismatic education not only teaches us about how to identify these items and collect them but provides the background into history that explains how these items represent today’s society. The areas I find interesting are the history and policies that have led to how things are today. History gives us the lessons learned as to how it was once done and the evolution of the policies that govern the way any institution is run. This is no different for the money manufacturing apparatus of the United States. I have been on a book buying binge. If I find a book that will add to my curiosity, then it will become part of my growing library. Over the last few months, I have probably spent more on books than coins. With the exception of the few review copies (that I really should review), most of the books I buy are older and have information that I have not found anywhere else. There are books from my new stack of older books I would like to highlight. Compared to the U.S. Mint, the Bureau of Engraving and Printing does not get the same love by collectors. Created as the National Currency Bureau in 1862, it became the official security printing agency of the United States government. 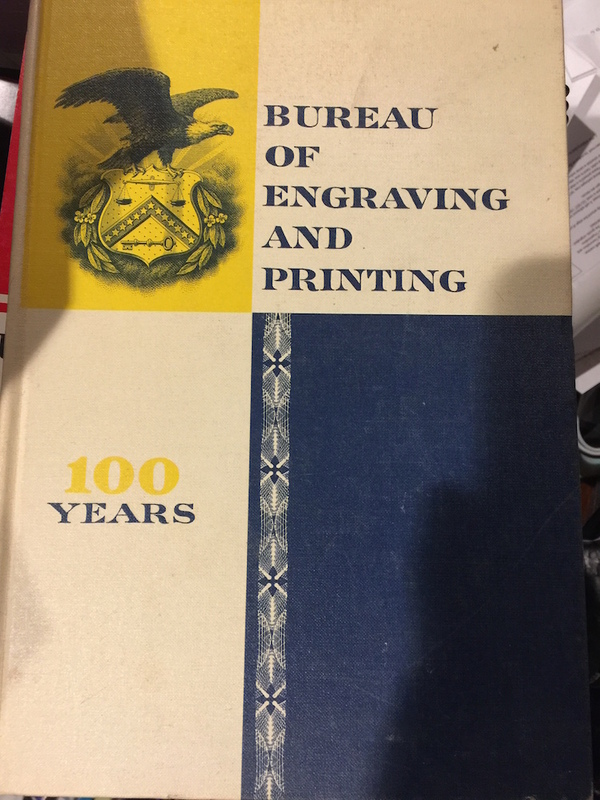 History of the Bureau of Engraving and Printing covers the first 100 years of the agency’s history. Printed by the Bureau of Engraving and Printing and sold for $7.00 in 1962, this book outlines the growth of the agency from cutting fractional currency printed by commercial printers to pioneering currency production including new press operations and how to create plates. It is a beautifully produced book that stands out for its quality in both production and writing. The history of the BEP is well written with images of the process with images of some of the printing element interspersed throughout the text. Also included are intaglio printed images from the Bureau of Engraving and Printing archives. Between the pages with the intaglio prints is a tissue-like paper to help protect and preserve the images. Although there are many good online histories of the Bureau of Engraving and Printing none of them are complete and does not include the other security printing history of the agency including bonds and stamps. 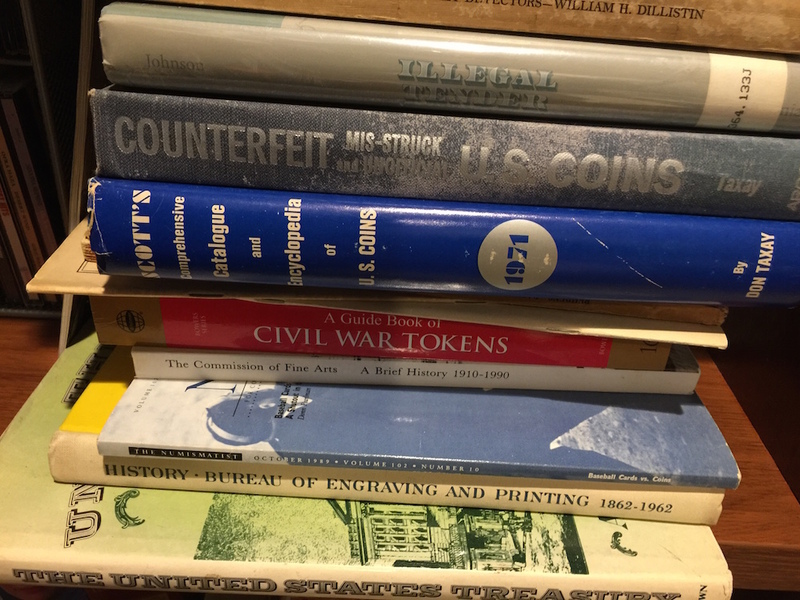 The most read post on the Coin Collectors Blog is “How easy is it to pass counterfeit currency.” I am fascinated that since I published that post there it has logged over 5,000 unique hits. I am sure that the post is being picked up by search engines and shown to people who are looking for illicit information. They are probably disappointed that the post is not an instruction manual, but I am fascinated that so many people would be interested. Illegal Tender, Counterfeiting and the Secret Service in Nineteenth-Century America by David R. Johnson. To save money, this is a former library book in very good condition. I have skimmed this book and it looks like it will provide a good background as to the evolution of the U.S. Secret Service. The U.S. Secret Service is a unique agency. It was formed to investigate and deter counterfeiting of U.S. currency starting in 1865. They were so well respected that they were asked to protect President Theodore Roosevelt following the assassination of President William McKinley in 1901. Although many countries have divisions of their law enforcement services that investigate counterfeiting, the United States is the only country that has an agency whose mission to protect the currency from counterfeiting. Counterfeit, Mis-Struck and Unofficial, U.S. Coins by Don Taxay. While my copy has condition issues, including water damage, it is still a book written by Taxay that has to be worth reading. Since this is my most recent purchase it has been added to the “up next” queue. 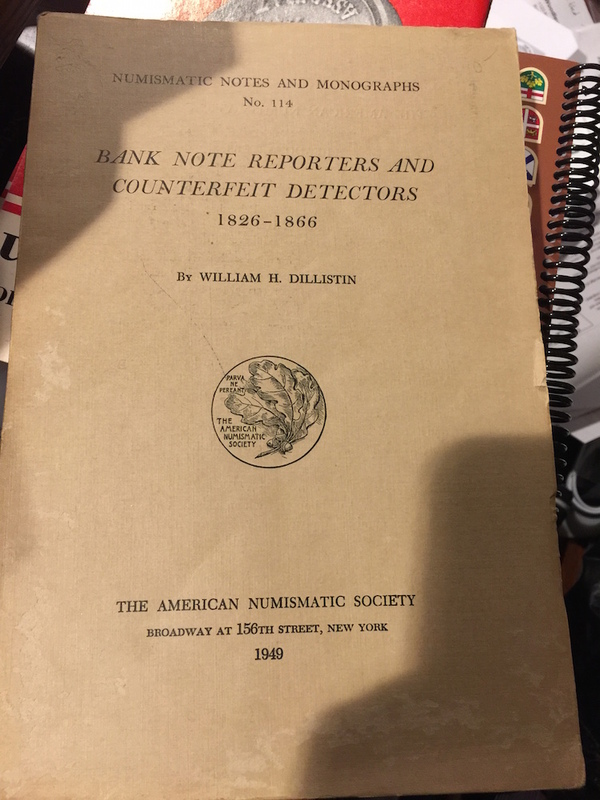 Bank Note Reporters and Counterfeit Detectors, 1826-1866, by William H. Dillistin. Published by the American Numismatic Society in 1949, this book is a survey of experts in counterfeit detection that describes what to look for. It is also a catalog of publications in counterfeit detection and the authors. An interesting exercise may be to work on trying to find the papers and pamphlets listed in this book. I also liked the images in the back of the book that shows what to look for to detect counterfeits. 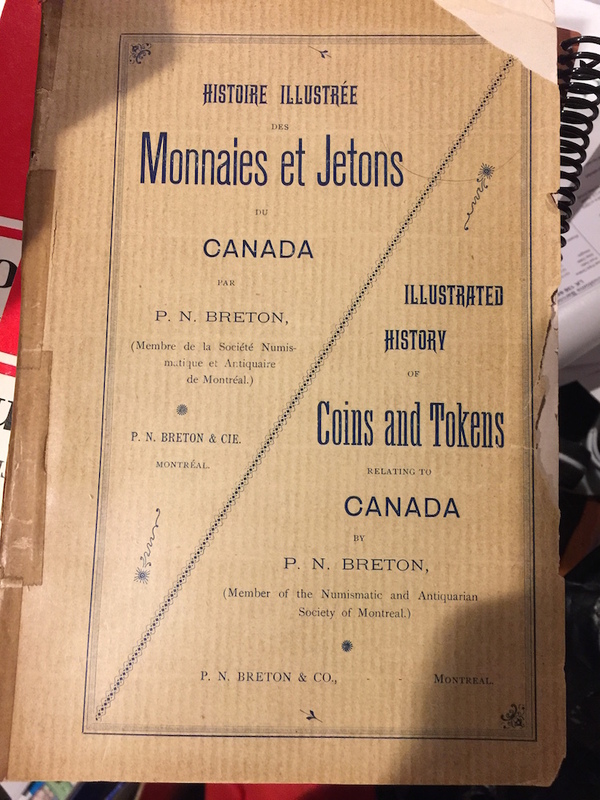 When I reviewed 2017 Canadian Circulating Coins, Tokens & Paper Money I noted that the third section of the book is dedicated to Breton Tokens. Breton Tokens refer to the coins and tokens that were documented by Pierre Napoleon Breton in 1894. Although I am not a collector of Breton Tokens it would be great to have a copy of the book. Think of it as owning a copy of “Penny Whimsy” by Dr. William Sheldon or the first edition of United States Pattern Coins by J. Hewitt Judd. 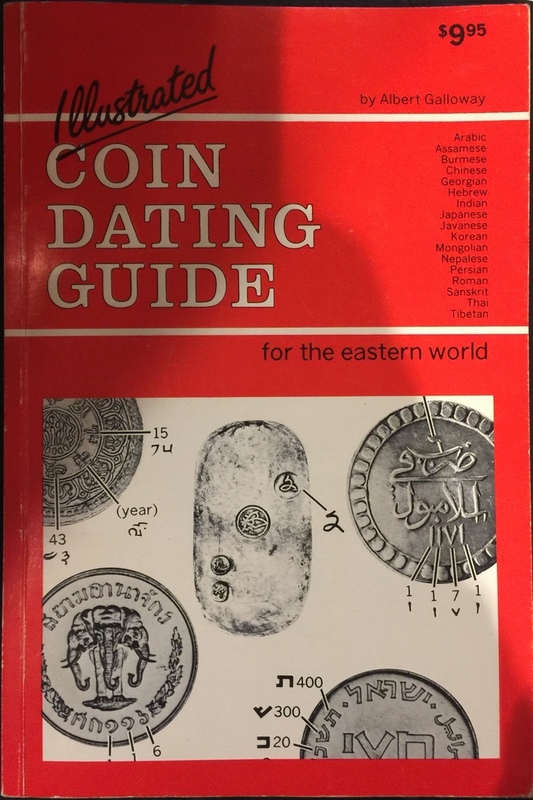 I have to admit to “picking” this book during a sale of books from my local coin club. The club is selling off items in its library that there seems to be little interest. Periodically, a few books are brought to a meeting and sold by silent auction. When Illustrated History of Coins and Tokens Relating to Canada, I did not pay attention. I was drawn that it was an older book about Canadian coins and that it is written in both French and English. What made this book stand out is that each page had two columns with the French text on the left and the English on the right. The format was fascinating I bid and won the book. Only after I started to go through my pile this past week to prioritize my reading list did I realize what I had purchased. Although this is not a priority read, to have a contemporary reference about Breton Tokens written by P.N. Breton should make a fascinating read. So… what’s on your bookshelf?